-- Select a Size -- 10-12" - Out of Stock! 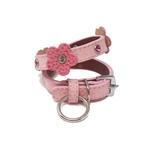 12-14"
Give your pup understated elegance with the Flower and Gem Dog Collar by Cha-Cha Couture in Light Pink. 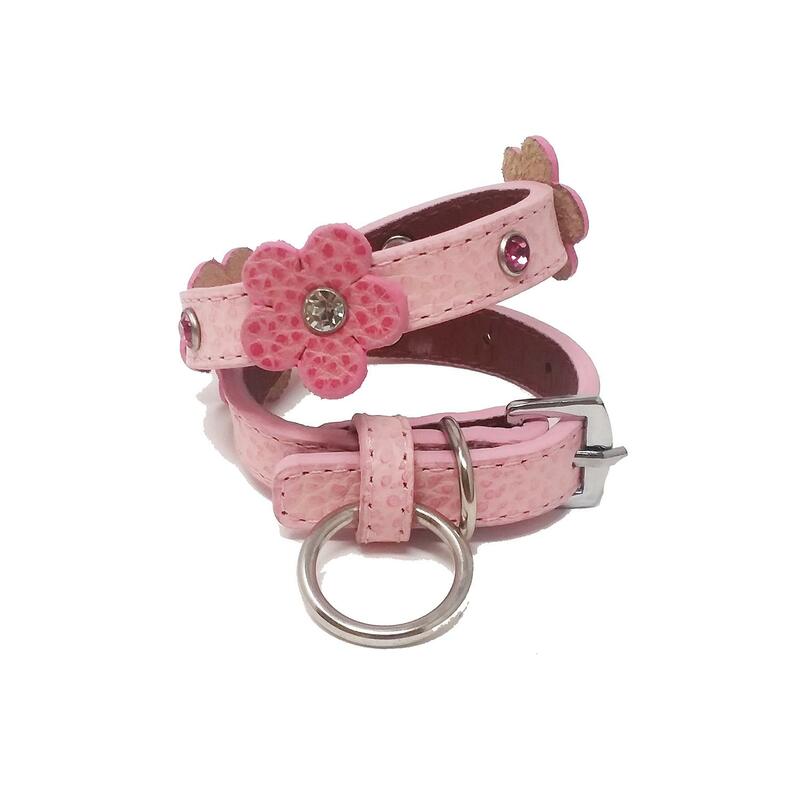 Give your pup simple and elegant style that won't detract from their natural good looks with this Flower and Gem Dog Collar by Cha-Cha Couture in Light Pink. This comfortable faux leather features flowers and gems for understated elegance. A D-ring is included for leash and tag attachment. Posted On 02/20/19 by Jasmine from Swansea, IL Yes, Jasmine recommends this product! This collar is so gorgeous. Unfortunately it's too big for my puppy. Hopefully she will grow into it. I can't wait for her to wear this! Great quality, pretty design! Posted On 12/05/18 by TINA S from Silver Creek, GA Yes, TINA S recommends this product! The Flower Collar is so pretty, love it. I have always been very pleased with Baxter Boo.Excellent merchandise and speedy delivery.What more would you ask for! !